The WSC is the nerve center and voice of our Fellowship. The WSC is the one time each year when all our service branches come together. Unlike all other branches of C.A. service, the WSC is not an entity, it is an event. At the WSC, the Delegates, the World Service Board of Trustees, and the managers and Directors of the World Service Office meet to discuss ideas and direction for the Fellowship of C.A. as a whole. The WSC can last up to a week; however, the planning and implementation associated with the WSC is a year-round proposition. July 2, 3, 1986, 2nd World Services Conference, San Diego, California. August 11, 12, 13, 14, 1988, 5th World Service Conference. August 16, 17, 18, 19, 20, 1989, 6th World Service Conference. 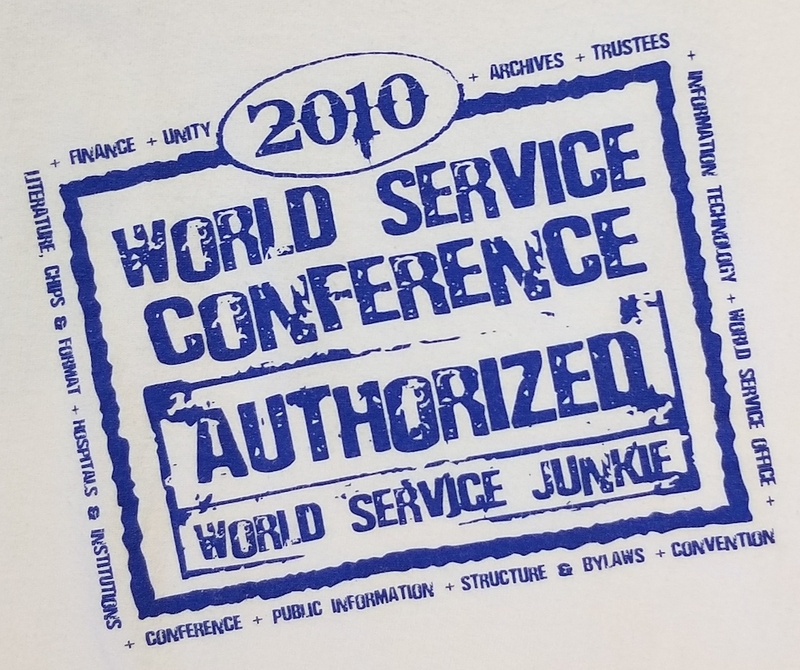 September 2, 3, 4, 5, 6, 1992, 9th World Services Conference. September 1, 2, 3, 4, 5, 1993, 10th World Services Conference. August 30, 31, September 1, 2, 3, 1995, 12th World Services Conference. 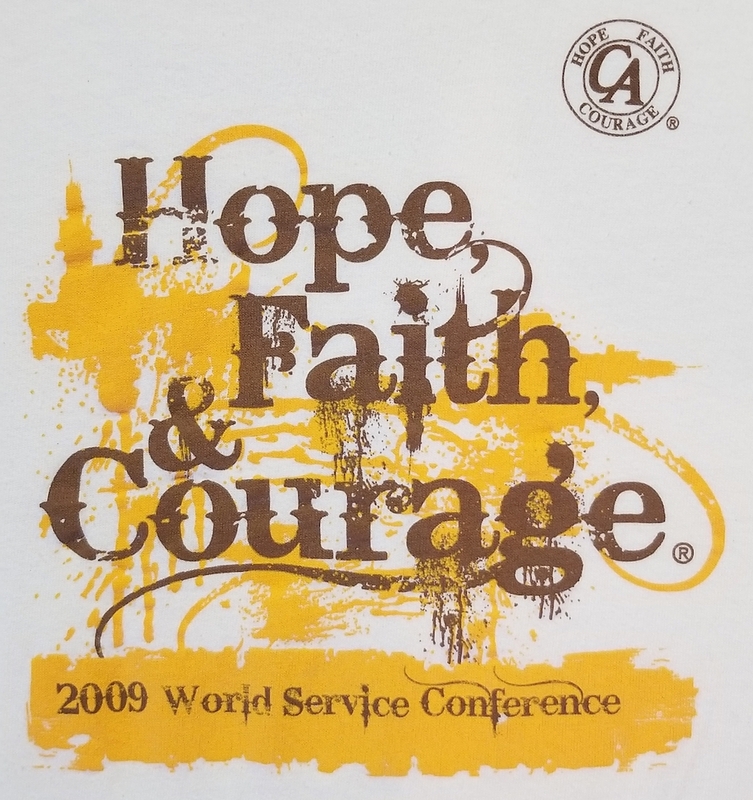 August 28, 29, 30, 31, 1996, 13th World Services Conference. September 2, 3, 4, 5, 6, 1998, 15th World Service Conference. 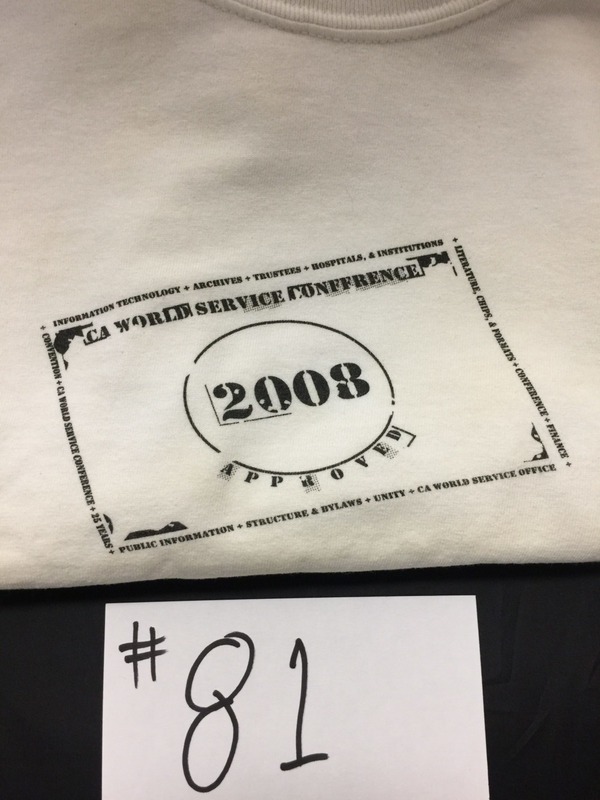 August 28, 29, 30, 31, 2002, 19th World Service Conference. August 26, 27, 28, 29, 30, 31, 2008, 25th World Service Convention. 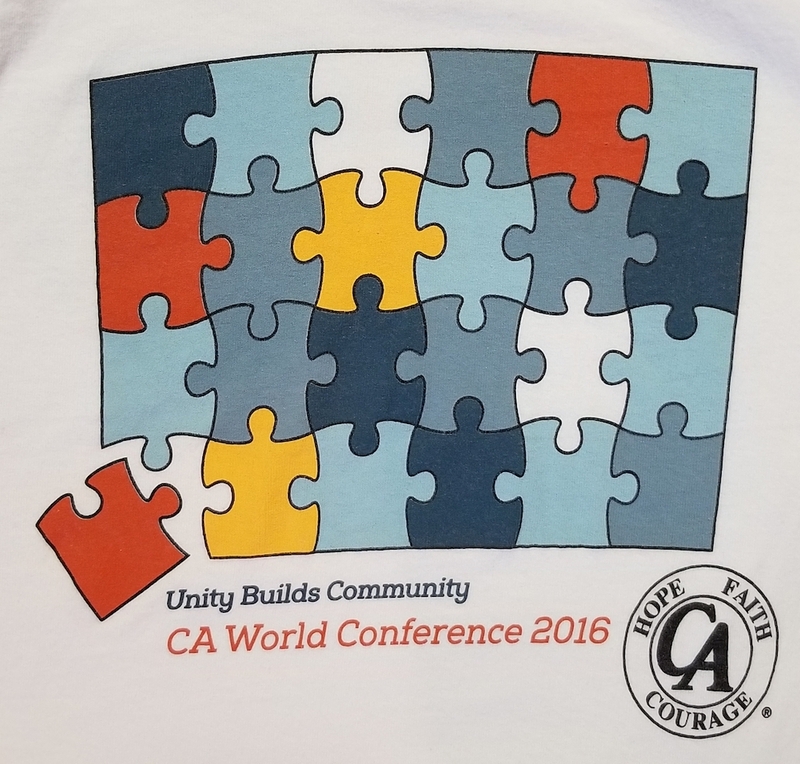 Theme: Hope, Faith & Courage…the next 25!